Insurance companies are big enough to effect global change. A group of postgraduate students has been working with the industry and the UN to bring about a better future for people and planet. The United Nations Sustainable Development Goals are ambitious. Among other things they aim to end poverty, eliminate hunger, ensure quality education for all and achieve gender equality. Altogether there are 17 goals with a deadline of just over a decade. So serious firepower will be needed if the aim is to “change the world” by 2030. Globally, insurers are some of our largest companies and the nearly $US5 trillion in policies they write annually account for around 8 per cent of world GDP. For three years now, Executive MBA students from UTS Business School have been working on projects that support a partnership between the insurance industry and the United Nations that has the aim of helping to activate the Sustainable Development Goals (SDGs) and the Principles for Sustainable Insurance (PSI). For one group of students, that meant conducting a global survey to uncover whether and how insurers address environmental, social and governance issues such as human rights and protection of habitat when they underwrite bonds for major infrastructure projects (see separate story). The survey findings are now with the UN and may inform a set of global guidelines. For another, it included “apprenticing the problem” of poverty by immersing themselves in a community in the second poorest congressional district in the United States – one of the most dangerous neighbourhoods in Philadelphia – and meeting with inmates of a maximum-security prison ahead of reporting to the insurance industry. In Kensington, Philadelphia, violence and drug-related crime are a fact of life, as is unemployment for every second person aged 20-24. “It’s actually normal to worry that you will go to bed hungry or that you will be shot outside your own home,” Emma Hunt says of the reality for students at the local high school. Hunt, an MBA student passionate about social impact, accompanied a group of EMBA students on visits to Kensington High School and Graterford Prison in Pennsylvania as they sought to better understand the context for the UN’s Sustainable Development Goals. At Kensington High, the students met Principal James Williams, who is not only trying to give his students a physically and emotionally “safe place” at school but also educational opportunities that will help lift them out of poverty. His initiatives have caused a spike in daily attendance to 90 per cent, and the new Kensington Health Sciences Academy he has established within the school is arming students with vocational skills for jobs in the burgeoning health-care industry. Last year nearly 90 students graduated from the academy and Hunt was invited back as a keynote speaker. “The graduation reinforced the importance of access for all to a free and quality education – Goal 4 of the Sustainable Development Goals,” she says. Many of the diploma recipients were the first in their families to graduate from high school. No jewellery, no brown or beige clothes (that’s what the prisoners wear), no handbags, phones or watches. No personal questions. First names only. One sheet of paper and a pen. These were some of the rules laid out for the students as they headed for Graterford State Correctional Institution in Pennsylvania. They were apprehensive about the experience that awaited them behind three sets of locked doors. “There were people who had been behind bars longer than I’ve been alive,” says EMBA student Huw Perkin. "we censor ourselves without even realising it"
Leah Callon-Butler says she left the prison “with my eyes opened to how we censor ourselves without even realising it”. Her light bulb moment came from a brainstorming session with a small group of prisoners, where they sought to reimagine the US health-care system. Perkin says there was a lot of talk from the prisoners about social justice. “These were people who had done things in their lives to be given these big sentences, but they had time to think about what justice really is,” he says. The Executive MBA students visited the US as part of the Global Business Practice subject, meeting with people and organisations that had effected change in their communities. The group’s final report provided a range of insights and strategies for insurance companies to help them address the SDGs while still getting the same – or even better – commercial outcomes. “The learnings and experiences from our expedition of social ventures, sustainable start-ups and Fortune 500 companies went a long way in developing these strategies,” Perkin says. 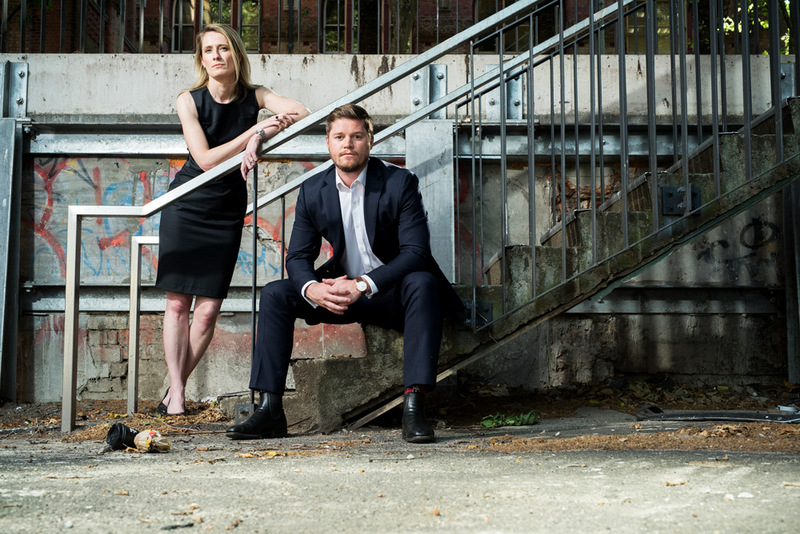 Candidates for the MBA, Executive MBA and MBA in Entrepreneurship at UTS Business School take part in practical, “experiential” learning – working with real clients on real challenges. They engage with business to both learn and to contribute, consulting for clients and – for MBAe candidates – working on their own start-up or innovation projects. Students are formed into small teams supervised by a Project Executive who is a practitioner, executive or entrepreneur, or a Business School academic with on-the-ground experience. Before reporting back to clients, they test their findings and ideas with members of an Advisory Council also drawn from the business and entrepreneurial community. Insurers writing surety bonds have the opportunity to ask tough questions about sustainability. An international survey has revealed industry support for the development of global guidelines on how environmental, social and governance (ESG) risks – such as human rights abuses and harm to habitat – should be incorporated into insurance underwriting of major infrastructure projects. The survey was built and conducted by postgraduate students from UTS Business School at the University of Technology Sydney and Fox Business School at Temple University in Philadelphia. It sought to understand whether, and how, ESG risks are currently being integrated into surety bonds associated with infrastructure projects such as ports, power plants and pipelines. The research uncovered not only differences between countries and among insurers but also within individual organisations. It also produced a number of insights that could inform development of guidelines for underwriters of surety bonds. A surety bond is an undertaking by an independent third party – the “surety”, an insurer – to the owner of the bond that a contractor will perform in accordance with the terms and conditions of a project contract. Surety providers are in a position to influence how ESG risks are addressed in big projects if, in writing bonds, they ask questions about issues such as climate change, pollution, labour rights and worker safety. Associate Professor James Hutchin, who has a background as an executive in, and a consultant to, the financial services sector, says the insurance industry has a fundamental role in ensuring sustainable development. “Its ‘core business’ is managing risk,” he says. The survey was part of a project undertaken by an alliance of insurers, reinsurers and academics – including the world’s largest reinsurer, Munich Re – working in partnership with the Principles for Sustainable Insurance Initiative, which is part of the UN Environment Program Finance Initiative (UNEP FI). About 90 organisations have adopted the Principles, including insurers representing approximately 20% of world premium volume and $US14 trillion in assets under management. © Copyright UTS - CRICOS Provider No: 00099F - 20 September 2017 11:11 AM. The page is authorised by Deputy Vice-Chancellor and Vice-President (Corporate Services).